Although Elvis might still be alive—at least according to some—CrossVegas in Sin City will be no more after Wednesday night. The UCI C1 race at Desert Breeze Field will be the last Las Vegas edition of the annual race that has been held under the lights every year since 2007. The event has always drawn a good crowd thanks to its concurrence with Interbike, and it reached its pinnacle in 2015 and 2016 with World Cup status. CrossVegas will join Interbike in moving to Reno in 2018. After two years as a World Cup, CrossVegas is still a big race with C1 points and payouts, but the impressive international fields seen in recent years are toned down a bit in 2017. On the Women’s side, the preliminary 34-woman field features 31 Americans and three international riders. 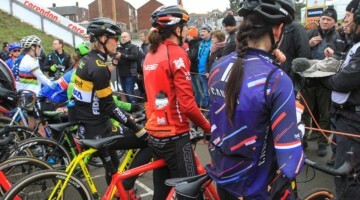 The three international women are Sunday’s World Cup winner Katerina Nash (Clif Pro Team), her teammate Catherine Pendrel (Clif Pro Team) and Caroline Mani (Van Dessel Factory Racing), who finished third Friday night. The U.S. contingent will be headed up by high-flying Ellen Noble (Aspire Racing). 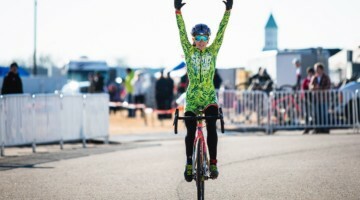 She will be joined by World Cup racers Crystal Anthony (Maxxis-Shimano), Rebecca Gross (Zero D Racing – Sped Precision Wheels) and Cassie Maximenko (Van Dessel Factory Racing). After a relatively low-key 2016, Meredith Miller will be back to race in Vegas as well. 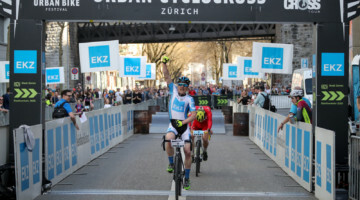 There are also a number of young riders who will have a great opportunity to compete for the big C1 points. 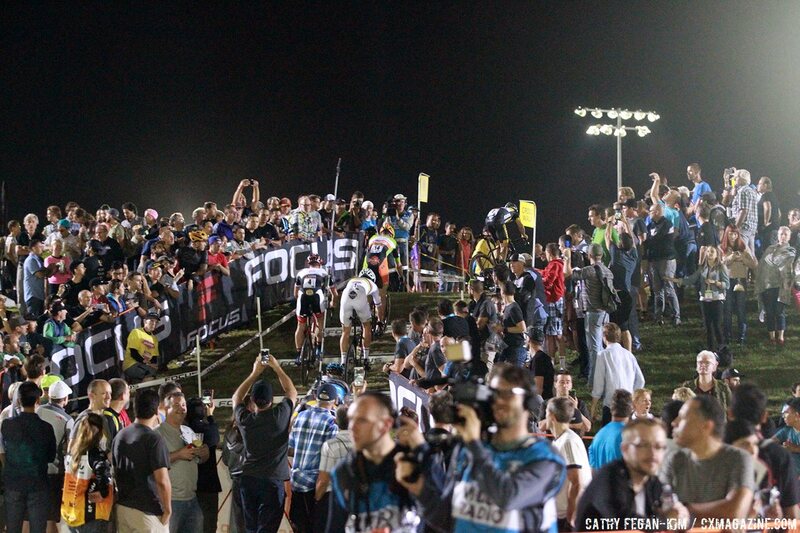 For the Men, Laurens Sweeck (ERA-Circus), one of the stars of Jingle Cross, headlines a more international field. A total of 8 of the 32 registered riders are from outside the U.S. (although three are from Canada). The U.S. group is led by Jeremy Powers (Aspire Racing), Lance Haidet (Donnelly) and Travis Livermon (Maxxis-Shimano), all of whom raced the World Cup at Jingle Cross. Jonathan Page will be making his last CrossVegas start in the last Vegas edition and Michael van den Ham (Garneau Easton p/b Transitions LifeCare) will be heading up the list of three Canadians. The Women’s race starts at 8:15 p.m. Pacific and the Men at 9:30 p.m. Pacific. 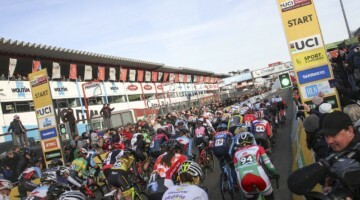 Streaming of the race is available from flobikes.com with a paid subscription for its content.